NYC Bureau of Fraud Investigation FAQs | John Howley, Esq. 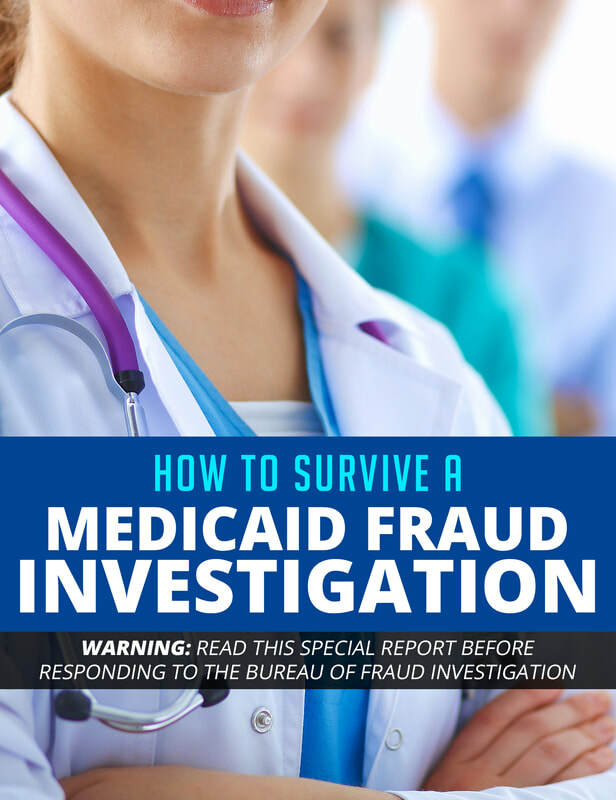 ﻿​If you received a letter from the Bureau of Fraud Investigation, then you are a suspect in a Medicaid fraud investigation. What happens next depends on how you respond. If you respond properly, the investigators may conclude that you did nothing wrong, or that whatever you did was an honest mistake. In that case, they might dismiss the investigation or ask you to pay back benefits. The problem is: Some of these investigations result in serious criminal charges. If you do not respond, or if the investigator thinks you are not telling the truth, you could face heavy fines, a criminal record, and even time in prison. Your first step should be to educate yourself. Start by downloading a free copy of our special report, "5 Deadly Mistakes in Medicaid Fraud Investigations." Why am I being investigated for Medicaid fraud? The investigator suspects that you did not disclose all relevant information on your application or re-certification for benefits. The investigator may believe that you did not disclose all of your income, your marital status, where you live, or who lives with you. What does the investigator know? The investigator knows where you live, who lives with you, where you work, what you own, and how much you earn. How does the investigator know about me? Most of your information is available from public records. The investigator also may have asked your employer for payroll records, taken photos of you and your home, and spoken with your neighbors. What should I do if the investigator shows up at my home or job? Stay calm. Ask for their card. Politely say that you cannot talk now but that you will get back to them. Call an experienced Medicaid fraud lawyer immediately. Will I go to jail for Medicaid fraud? That depends on how you handle the investigation. Investigations can often be settled by paying back the cost of benefits for any period when you were not eligible. Each case is different. You must speak with a lawyer about your specific facts. Do not talk to the investigator. Nothing you say can help your case. Anything you say can and will be used against you in court. Get an experienced Medicaid fraud lawyer on your side. An experienced Medicaid fraud lawyer will analyze your situation and help you understand your options. Your lawyer will meet with the investigator and find out what the issues are. In many cases, your lawyer will be able to negotiate a resolution without any criminal charges or civil lawsuits. Help your lawyer understand your specific situation. Your lawyer will review your tax returns, bank statements, and other financial records. Sometimes your lawyer can convince the investigator that you were, in fact, eligible for Medicaid or Family Health Plus benefits. Other times, your lawyer can avoid criminal charges by negotiating a settlement. Look for Experience. Nothing beats experience when it comes to choosing a lawyer. Our lawyers have more than 25 years of experience representing clients in government investigations. We meet regularly with investigators at the Bureau of Fraud Investigation, the Medicaid Fraud Control Unit (MFCU), and the Office of Medicaid Inspector General (OMIG). Who will handle your case? Will you be represented by an experienced lawyer? Or will he hand your case over to someone with less experience? When you retain The Howley Law Firm, your case will be handled personally by an experienced Medicaid fraud defense lawyer. You will never be handed off to a less experienced lawyer or paralegal. Arrange a free consultation. Talking to an experienced Medicaid fraud defense lawyer and asking questions is the first step to protect your rights​. The expert guide to investigations by the HRA Bureau of Fraud Investigation. Experienced Medicaid fraud lawyer John Howley explains why you are being investigated, how to respond to the investigators, when you can represent yourself, and when you need a lawyer. Plus learn the five secrets the investigators will not tell you. We prepared this special report especially for people who are being investigated for Medicaid fraud in New York. Our report explains what to do -- and what not to do -- if you receive a letter or visit from a Medicaid fraud investigator. It is based on our experience representing clients in hundreds of Medicaid fraud investigations over the past 25 years. The report is free. Just click on this button to download your free copy now..